SMU offers several options for students looking for a different spring break experience. 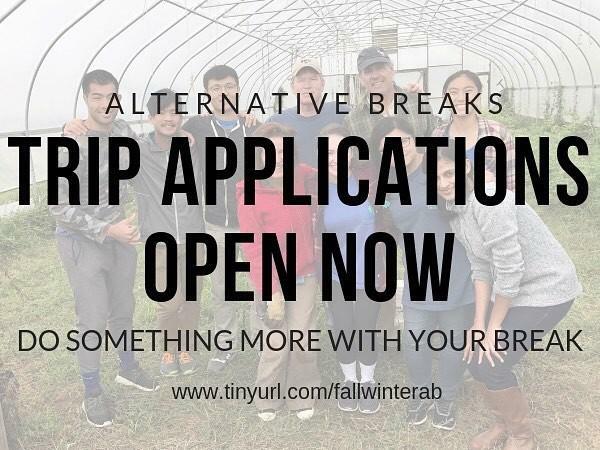 If you’ve ever considered doing something monumental with your week away from school, SMU Alternative Breaks could be just what you’re looking for. SMU Alternative Breaks offers each student the opportunity to participate in a week-long community service trip to destinations around the U.S. Alternative Breaks provides life-changing experiences for students who want to spend their time off giving back to communities in need. SMU students, student leaders and faculty join forces with philanthropic, non-profit organizations including Habitat for Humanity, Atlanta Community Food Bank and Camp Hill Kimberton to serve the community. In addition to putting time into community service, participants also have the opportunity to learn about social issues and consider ways to evoke positive social change in their community and across the globe. At the end of each day, participants gather to reflect on what they’ve learned through discussion, journaling and other activities. Participants debrief their experiences and recognize the collective change they are making as a team. Seven to eight students, one staff advisor and two student leaders accompany each trip, giving participants the opportunity to form close, lasting relationships with their entire group. The week also includes a day off of service dedicated to the exploration of their city. Alternative breaks destinations range from New Orleans, where students can assist in post-Katrina home building, to Kimberton, PA to work in an agricultural community for adults with disabilities. For only $400, students are provided with prearranged housing, meals and transportation. Financial aid is also offered. To check out the complete list of the destinations Alternative Breaks offers this spring break, click here. To apply, visit this link.